Linn DS music players offer you top-quality performance and flexibility whether you’re listening to movie soundtracks or studio master recordings. This month, we’re taking an in-depth look at each of the four players in the DS range, which include the Klimax, Majik, Sneaky, and Akurate DS. The Akurate DS supports all popular digital music types, which makes it a great all-rounder for any home. It comes with analogue outputs which allow connection to either an integrated amp or preamp, and you can even purchase multiple units to stream your favourite tunes throughout your home. In addition, the Akurate’s Songcast technology enables you to synchronise playback across all your rooms. The Akurate DS can stream Internet radio (including Linn’s own radio stations), podcasts, and other digital music file types such as FLAC, WAV, and ALAC over a standard Ethernet network. 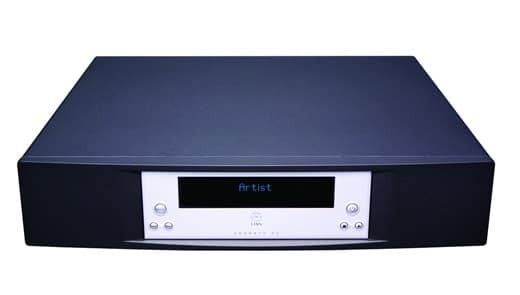 As the Akurate’s a dedicated network music player, it can be added to any separates system, or used on its own with its onboard volume control, which allows direct connection to a power amp. Here at Rococo Systems, we sell the full range of Linn Akurate speakers and accessories, including the 212, 225, 226, and Passive models. By complementing your DS system with Linn-branded speakers, you’ll be able to get the best possible performance out of your player. Plus, thanks to Linn’s bespoke finish service, you can choose from more than 200 finishes to ensure your new loudspeakers perfectly match their new environment. Thanks to Linn’s dedication to continuous improvement, the Akurate DS now comes with built-in Space Optimisation technology. This cleverly removes the unwanted distorting effects that can be created by the environment in which your player is situated, allowing you to enjoy a flawless performance. If you live or work in London or Essex, Rococo Systems will be happy to demonstrate Linn’s Akurate DS player to you in all its glory in our purpose-built studios. We provide demos free-of-charge, and there’s absolutely no obligation to buy. Using our expert knowledge, we’ll help inspire and guide you through the process of selecting your perfect DS system. Plus, we can even customise a complete solution for your house, studio or flat. To book your personalised demonstration, simply call our London office on 020 7454 1234 or our Essex office on 01277 890 888. Demos are provided by appointment only between the hours of 9am and 9pm Monday to Friday, and 9am and 6pm on Saturdays and Sundays. So, please don’t forget to arrange a convenient time slot with us prior to visiting either of our Rococo Systems stores. Alternatively, you can book your demonstration by completing our online contact form. If you already know which DS player you wish to purchase, all you need to do is fill out this form. Once we have your details, we’ll contact you to discuss your requirements, and give you the chance to trade-in your existing equipment if appropriate.